Skills required:casting on, knitting, purling, increasing, decreasing, knitting in the round, working an easy textured stitch, short rows (optional), picking up stitches, binding off. 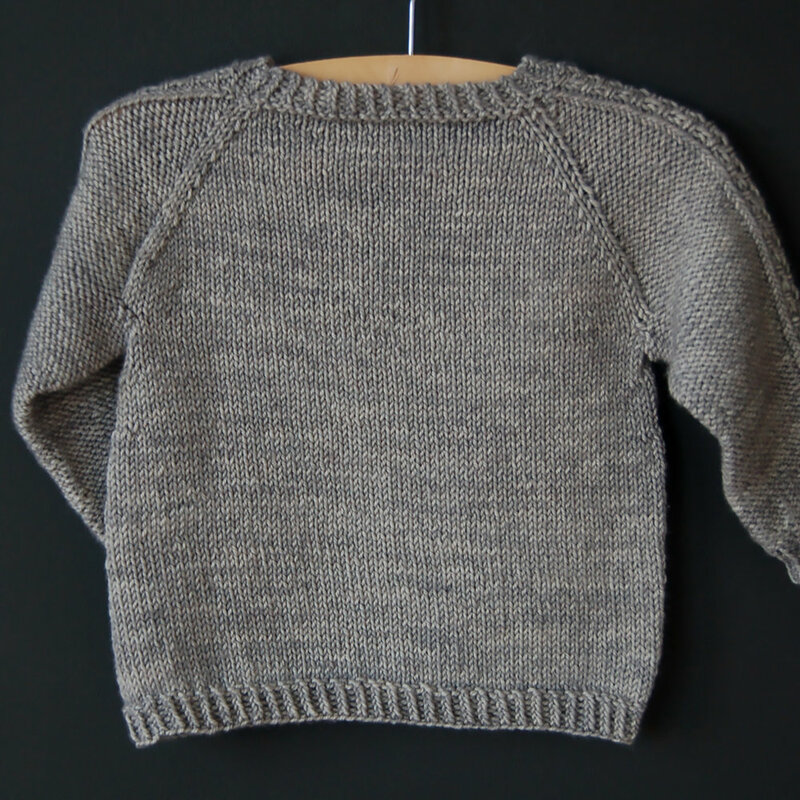 Construction: This sweater is worked seamlessly in the round from the top down, with a textured band that runs from the top of the yoke down the sleeves. The sleeves are put on hold while the body is worked, then the sleeves are worked in the round. Optional short rows can be worked to raise the back neck of the sweater for a better fit. Sagano is the first pattern in the “From Japan With Love” pattern bundle. The other patterns in this bundle will be released throughout the year. This sophisticated sweater features a simple yet striking textured band and thoughtful, understated details. It was inspired by my visit to the famous Sagano bamboo forest. Garment chest: 17.5 (19.75, 21.25, 22 // 22.75, 25.25, 27.5, 28.25, 30.5) inches or 44.5 (50, 54, 56 // 58, 64, 70, 72, 77.5) cm. Note: For an optimal fit, be sure to select a size according to the child’s actual chest size or the amount of ease desired. The age labels are for reference only. Approximately 300 (325, 375, 400 // 450, 575, 650, 750, 825) yards or 274 (297, 343, 366 // 411, 526, 594, 686, 754) meters of dk weight yarn.